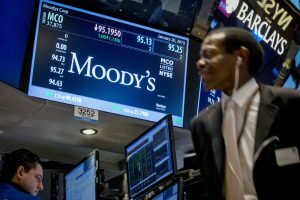 Moody’s, one of the world’s most renowned economic rating agencies, has produced data which they suggest demonstrates that although the UK economy is slowing down, it is not to the level that more pessimistic commentators have feared. The US company, who provide data to all Investment Banks, feel the impact of the Brexit vote will be relatively modest, with the lower value of the pound supporting economic growth and predicting over all growth of 1.5% this year, then 1.2% in 2017. Adding to their more positive outlook, Moody’s do not foresee the large house price slump that some economists have warned of – they also believe that a big fall in consumer spending is also wide of the mark. Statistics that predict that the UK economy will avoid recession will be welcomed by many who have feared the worst following the referendum, however, clarification surrounding financial planning strategy for the medium to long term still raises concerns for many investors and those looking to make retirement plans.